Since a very young age Philippe has had a love for movies, particularly action movies from Hong Kong. Since 1994 Philippe has been actively involved in film, TV and radio whilst living in Thailand. 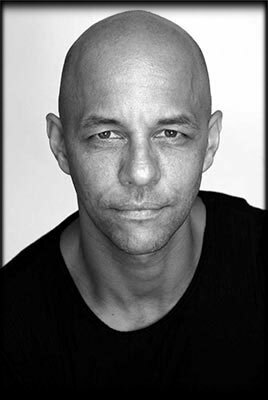 Philippe’s movie credits include Street Fighter where he was first introduced to stunt man Ronnie Vreeken, Operation Dumbo Drop and The Quest - where he met stunt man Alex Kuzelicki. During the filming of these movies Philippe had the pleasure of working with the Thai stunt coordinator Kawee 'Seng' Sirikanerat, who’s work on The Beach and Rambo IV is highly regarded. Having lived in Thailand for over 5 years, Philippe has trained in Muay Thai, Tae kwon Do and Thai weapon training. After living in Thailand, Philippe moved to Belgium and the UK where he started his own Video Production Company. Having the urge to become an Action Director, Philippe moved to Australia in 2001 where he worked and trained with some of the best stunt performers and coordinators in Australia. Some of his credits include The Great Raid, At World’s End, Narnia: Voyage of the Dawn Treader, Iron Sky and The Killer Elite where he worked with Jason Statham and Robert De Nero. Most recently he has doubled Todd Williams on San Andreas and worked on Pirates of the Caribbean: Dead Men Tell no Tales, Kong: Skull Island, The Meg and Aquaman. His involvement in the film industry has also allowed Philippe to acquire camera and editing skills, essential for filmmaking and performing. Consequently, Philippe has filmed and edited well over one hundred action scenes. Philippe is graded as an Assistant Stunt Coordinator and has also been instructing Stunt Fighting and Stage Combat at the New York Film Academy Australia since it’s conception and has started his own company Action Movie Makers Training where he teaches actors and stunt performers the Art of Shooting and Performing Action. Philippe’s dream is to work with Donnie Yen, whose work he has admired from a very young age.